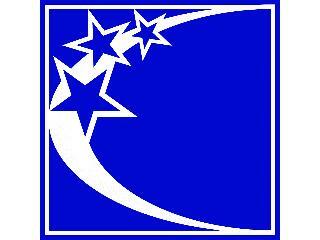 Welcome to Constellation Schools, the premier charter school organization in Ohio! Our network of 17 community schools serves over 5,000 students in the communities of Cleveland, Lorain, Elyria and Parma. Constellation Schools LLC offers parents an educational choice in their neighborhood by providing a caring, nurturing educational environment for their child. Our schools provide a high-quality education that integrates the teaching of character education/values and self-discipline, incorporates technology, stresses the importance of school attendance, and addresses the individual educational needs of each student. Through academic excellence, good attendance, and the learning of desirable character traits and proper behavior, our schools graduate students who are academically, successful, life-long learners, and responsible citizens in their school community, neighborhoods and city. The essential elements of Constellation community schools include small class sizes; a prominent character education program designed to provide a moral base for children; high academic standards; a strict student dress code; parent involvement; and, a dedicated, caring staff that consistently demonstrates and reinforces our values. The curriculum implemented by the school is aligned with the Common Core Standards and is designed to educate every child and prepare all students for state-mandated tests. Students are required to pass the state-mandated assessments just like other public school students. All of Constellation’s schools provide convenient, secure, nurturing, learning environments that ensure children are safe and where parents are welcome. The close proximity of our schools to the homes of the children enrolled ensures optimal parent involvement in the educational experience of their children. Parents are critical to the educational success of their children and we encourage every parent to become actively involved. Parents are valued and viewed as partners as we work to create learning communities where teachers, administrators and parents work together to ensure the academic success and moral development of all children. Our schools employ only licensed, trained and highly qualified teachers. Our teachers are flexible, employing a variety of instructional methods to ensure that the individual educational needs of all children are met; to maintain student interest; and, to challenge all students to strive for academic excellence. Curriculum is presented utilizing numerous techniques in various settings. In addition to licensed teachers in every classroom, teaching aides, specialty teachers and supplemental service providers are employed where necessary and appropriate. Constellation’s community schools offer real educational alternatives to parents and are accountable to children, parents, our sponsors, the Ohio Department of Education and State Board of Education, and, the communities we serve. We take our responsibilities seriously and appreciate the confidence parents have in our ability to educate their children. Constellation Schools LLC operates community schools throughout Northeast Ohio. Community schools, which many states refer to as “charter schools,” are privately operated public schools financed through State of Ohio per-pupil foundation funds. Our schools receive no local property tax money and cannot charge tuition, although they may collect a materials fee. Community schools enter into contracts with a sponsor and are accountable to the state for the academic performance of their students. Community schools, like other public schools, must accept all students and cannot discriminate on any basis. They have some flexibility in selecting a curriculum and establishing performance standards for teachers and students. However, all teachers must be highly qualified, state licensed and undergo criminal background checks to ensure the safety of students. Community schools are also subject to financial audits by the Auditor of the State of Ohio to ensure long-term financial viability, and accountability for taxpayer funds. Constellation limits class size, typically no more than 24 students, to ensure that every student receives individualized attention. There are high expectations for every student and parents are encouraged to take an active role in the education of their children. Our schools eliminate the administrative bureaucracy so often found in public education and focus on an education that emphasizes character development and citizenship. Students are given a caring, safe, nurturing educational environment. In return, Constellation Schools LLC demands academic excellence, respectful behavior, good attendance and involved parents. Medical (core or buy-up plan), dental, vision, employer paid life insurance, paid time off, 403b/401k, SERS, STRS.